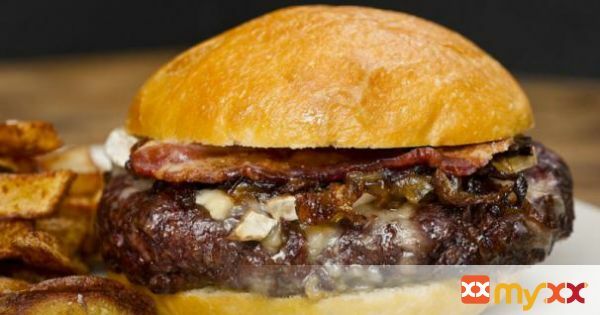 This burgers are very much liked by the blue cheese lovers. You can experience balanced flavour of meat, sauce, egg, salt, blue cheese, pepper and crumbs. Also, you can opt for different stuffing that may vary according to your preference. Prepare the easy to amke and quick burgers with recipe given as follows. 1. In a bowl, add chuck, sirloin, bread crumbs, steak sauce, eggs, salt, and pepper, and mix gently with fork. 2. Form 4 patties out of this mixture. 4. Then cover with aluminium foil. 5. Cut the sides of the bun, then grill in a stove-top grill until toasted. 6. Place patties and a slice of blue cheese in each bun.